A bathroom can be subtly designed or boldly stated. Here at ProSource® of Houston-Northwest, we have the products you need to make any bathroom remodel a reality. From stunning sinks to traditional toilets, our array of choices will allow you to find exactly what your client needs. From sinks that mimic the basins of yesteryears to modern styles, we have bathroom sinks for every budget and taste. 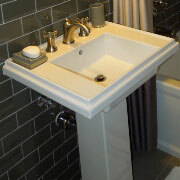 Bring your client by, or stop in yourself, to view our selection of premium quality sinks. No bathroom remodel is complete without an attention to every small detail. 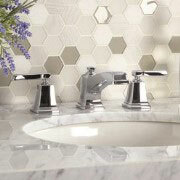 Check out our bathroom sink faucets to find that perfect finishing touch for your client’s new sink. From showers that boast cutting-edge designs to simple but sophisticated options, we have a vast selection. We help trade professionals choose each essential element of their new shower so that their client is satisfied with the end result. 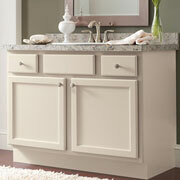 Vanities have long been used as a stylish way of storing more without taking up excess space. Browse our selection of vanities to see if this luxury solution is the perfect fit for your client’s style preferences. 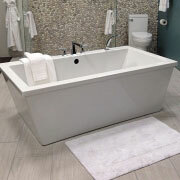 When a bathroom remodel includes a new tub, there is no better place to visit than ProSource of Northwest Houston. Our dedicated team will carefully walk you through exactly what options will fit your client’s budget and design. As a trade pro, we understand that you pay attention to every single component of a bathroom remodel, even features that aren’t always in the spotlight. 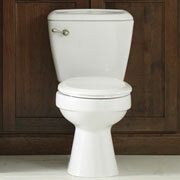 We can help you bring the room together with the perfect toilet style.